A few of the local people involved in the organisation of the Kanyike Project. Ssempijja is Fr. Kakuba's younger brother and one of the most respected people in the villages. He works hard, farming his own land and teaching others in animal husbandry and agriculture. He listens more than he speaks. This means he is well liked and trusted by everyone. Dan Lutalo is the HIV / AIDs counsellor for the Community Health Centre, which was built and funded by the Kanyike Project. His invaluable work with the Youth Group and the Women's Group, as well as individuals with HIV / AIDs, has improved the quality of life of those with the virus and reduced the number of new infections. 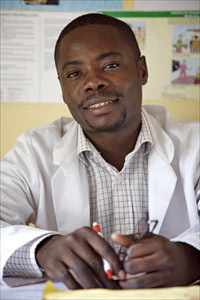 He also runs the Community Based Healthcare programme. 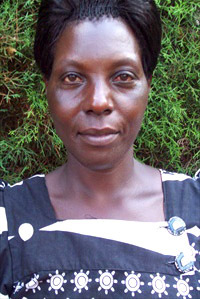 Gertrude is one of the prominent figures in the St. Hilda's Women's Group, a powerful force in Kanyike.